Fireside Book Series - 1st printing. Collects Fantastic Four (1961-1996 1st Series) #5, Tales to Astonish (1959-1968 1st Series) #90-91, Strange Tales (1951-1976 1st Series) #126-127, Tales of Suspense (1959*1968) #65-67, Amazing Spider-Man (1963-1998 1st Series) #39-40, Thor (1962-1996 1st Series Journey Into Mystery) #112-115, and Silver Surfer (1968-1970 1st Series) #3. 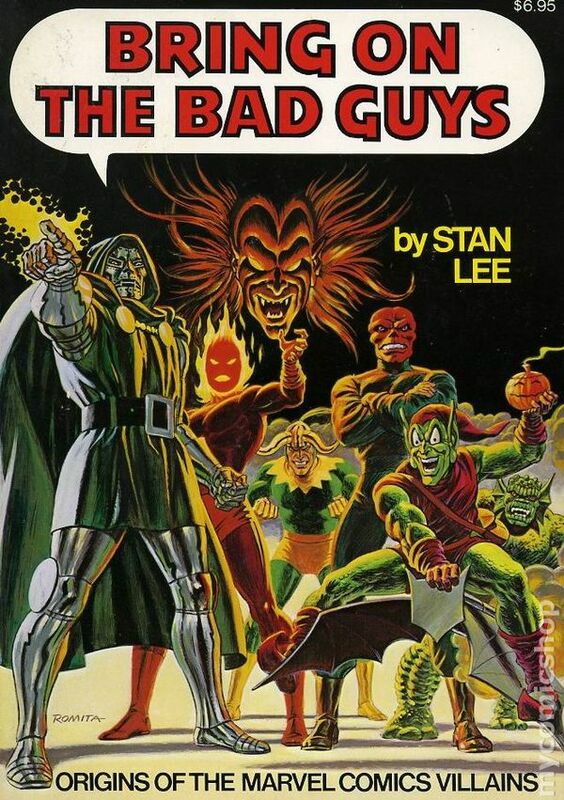 Written by Stan Lee. Art by Jack Kirby, Steve Ditko, John Romita, Sr., Gil Kane, and John Buscema. Cover by John Romita, Sr. This volume in the amazing Marvel Origins series (Origins of Marvel Comics TPB, Son of Origins TPB, Superhero Women TPB) collects the origin tales of - Doctor Doom, the Red Skull, Green Goblin, Dormammu, Abomination, Loki, and Mephisto. Softcover, 256 pages, full color. Cover price $6.95. Fireside Book Series - 2nd and later printings. 1st printing. Collects Fantastic Four (1961-1996 1st Series) #5, Tales to Astonish (1959-1968 1st Series) #90-91, Strange Tales (1951-1976 1st Series) #126-127, Tales of Suspense (1959*1968) #65-67, Amazing Spider-Man (1963-1998 1st Series) #39-40, Thor (1962-1996 1st Series Journey Into Mystery) #112-115, and Silver Surfer (1968-1970 1st Series) #3. 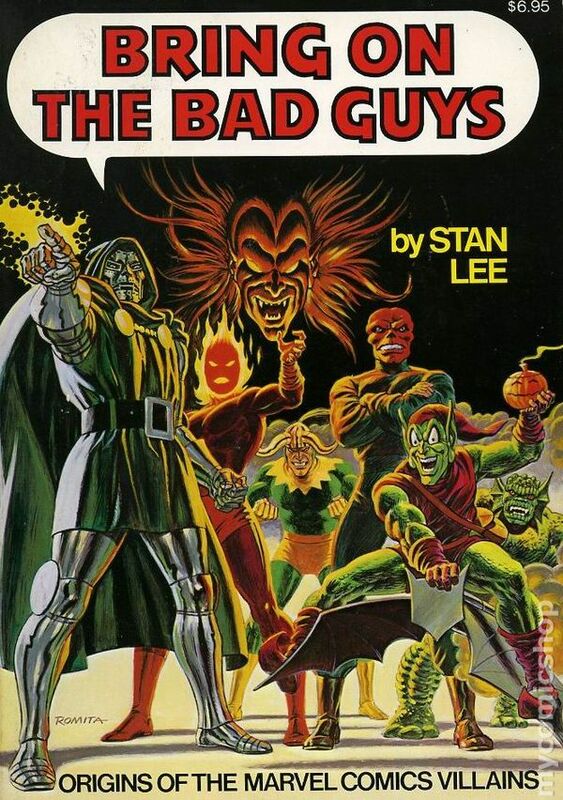 Written by Stan Lee. Art by Jack Kirby, Steve Ditko, John Romita, Sr., Gil Kane, and John Buscema. Cover by John Romita, Sr. This volume in the amazing Marvel Origins series (Origins of Marvel Comics TPB, Son of Origins TPB, Superhero Women TPB) collects the origin tales of - Doctor Doom, the Red Skull, Green Goblin, Dormammu, Abomination, Loki, and Mephisto. Softcover, 256 pages, full color. Cover price $6.95.